You call that a wedding dress? It’s not appropriate at all! Because wedding dresses are usually beautiful and elegant, this use of aphorismus challenges whether the dress being used is appropriate. How can you call yourself a man? Crying over a tiny stain! Aphorismus is used to raise questions or disagree about a subject or situation without directly expressing specific concerns. Instead of directly disagreeing, you remind your listener of the definition of a word and point out that the thing you’re disagreeing with does not fit the definition. Aphorismus can be used to insult or question something in a more playful and less direct way than an insult or factual statement such as “This music is horrible.” Whereas insults and facts may be accepted or ignored, aphorismus requires the listeners to consider the definition of the subject, and then ask themselves whether the subject fits. Aphorismus requires some critical thinking from the audience, inviting them to interact with the speaker. Aphorismus can be used in literature in all forms including poetry, prose, and speechwriting. Here, the king questions his own kingliness. By expressing that he experiences hunger, desire, grief, and loneliness like all people, he levels himself with all people. You call yourself a free spirit, a “wild thing,” and you’re terrified somebody’s gonna stick you in a cage. Well baby, you’re already in that cage. You built it yourself. And it’s not bounded in the west by Tulip, Texas, or in the east by Somali-land. It’s wherever you go. Because no matter where you run, you just end up running into yourself. Here, Fred Varjak challenges Holly Golightly about her own definition of self. The aphorismus targets her claim that she is a free spirit or wild thing. Following the aphorismus, Varjak clarifies that Golightly is not really free, but actually in a self-built cage where she avoids her true self. Aphorismus can be found in all facets of pop culture from movies to advertisements to songs. Sue Charlton: Mick, give him your wallet. Michael J. “Crocodile” Dundee: What for? Sue Charlton: He’s got a knife. Michael J. “Crocodile” Dundee: That’s not a knife. [he pulls out a huge knife] That’s a knife. 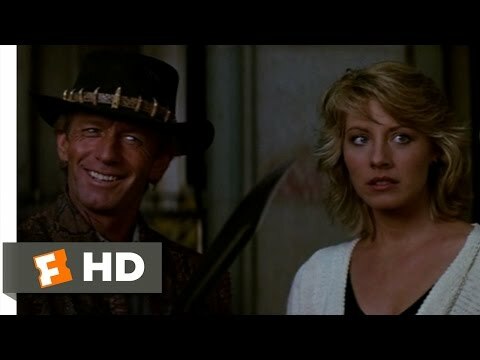 In this scene, Crocodile Dundee questions the thief’s knife in order to point out how small it is compared to his own, and therefore making the thief feel small and scared. He knows that I’m better at life stuff. Like music, pictures, movies, stuff like that. Whoa, whoa, whoa. What exactly do you mean by better? By better, I mean, making website or photobook is easy for me, and for you, it’s not. This is clever advertising, because it really sounds like they are literally asking what better means, but really, the ad is using aphorismus to make the claim that Apple is better. Because aphorismus and aphorism have similar spellings, they are often confused. While aphorismus expresses judgment by questioning a definition, aphorisms are short, wise sayings. See the differences below. You really think that’s what love is? Whereas aphorismus questions a definition, aphorisms provide a definition. You call that a good story? Aphorismus questions the quality of a story, whereas the aphorism says that stories have power. Though both invective and aphorismus can both be used to insult, invective, is by definition, insulting and abusive language intended to injure. While aphorismus is expressed as a question, invective is usually expressed as a strong statement. You can see the difference in these terms below. Does she really think that dress looks pretty? That is the ugliest, most revolting dress I’ve ever seen! Although both devices are used to criticize a dress, invective is harsher and more direct. Do you really call him fair? He is an unfair and cheating liar! Although aphorismus and invective can both be used to injure, aphorismus has a wider range of uses. It can be used to express a variety of attitudes depending on the situation. Aphorismus is the rhetorical device which allows the speaker to challenge someone or something by questioning a definition. Aphorismus is often used in the form of a rhetorical question. Depending on the situation and tone, aphorismus can be used to express disbelief, excitement, criticism, or disagreement.